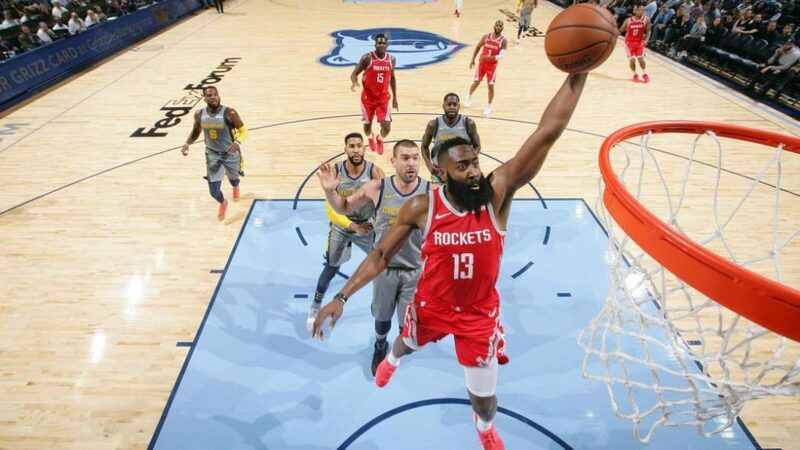 Rockets-Grizzlies Recap: Is Houston Finally Getting it Together? It has not been an easy season so far for the Houston Rockets. However, there has been reason for hope over the last week with the teamrecording big wins over the Portland Trail Blazers and Los Angeles Lakers. As nice as the two wins were, when you have lostmore than you have won, it is kind of hard to get too excited. But with a 105-97 win over the Memphis Grizzlies Saturdaynight they have made it back to .500. It didn’t come easy, of course. During the first half, it looked like it might as the Rockets got out to an early 36-29 lead after the first. But it was the defensive effort in the second quarter by Houston that was impressive. The Rockets held the Grizzlies to just 11 in the second whilescoring 25 giving them a 61-40 lead at the half. With such a big lead, the Rockets appeared to let off the gas a little in the second half. Memphis started the third with an 11-0 run. But Gerald Green helped wake the Rockets back up with a trio of three-pointers. Heading into the fourth, the Rockets lead was down to 14 points, 79-65. Houston managed to hold onto that lead for the first few minutes of the final quarter. But after Clint Capela hit a free throw at the 7:06mark to give the Rockets a 92-77 advantage, the Grizzlies made their move. WhenMike Conley hit his second free throw at the 3:04 mark, the Houston lead wasdown to six, 97-91. But that would be as close as they would get. Clint Capela’s dunk with 21.3 second left capped off the scoring and made the final 105-97,Houston. James Harden led the way for the Rockets with his second triple-double in a row scoring 32, pulling down 12 boards, and recording ten assists. Clint Capela had a double-double (26 points, 10 rebounds). Three other guys scoredin double figures, PJ Tucker (14), Chris Paul (10), and Gerald Green (17). Mike Conley led the way for Memphis with 22 points followed by Marc Gasol with 17. Houston will try to get over .500 Monday night when they take on the Utah Jazz at home. Memphis will try to get back on the right side of the scoreboard Monday night when they face the Golden State Warriors. So—does this mean the Rockets have their act together finally? No, but they are getting closer. When you live and die by the three, your offense is going to be a little inconsistent from time to time. But defense has been the big issue for them. Last season, they were a top-ten team on defense. This season, they have been closer to the bottom of the league in defensive efficiency. But with the return of assistant coach and defensive coordinator Jeff Bdelik, the defense appears to be trending in the right direction. In each of the last three games they have had a top ten defense for the night (No. 10 vs. Memphis; No. 6vs. Lakers; No. 3 vs. Portland). However, it has only been three games and they are still the No. 27 ranked defense in the NBA. But it is a reason for hope.